Although at present, oil and gas account for the main share in exports, Azerbaijan is eager to expand its list with non-oil sector's products. An upward trend is already showing itself in the non-oil exports. Azerbaijan reached an agreement to export its products to several countries. 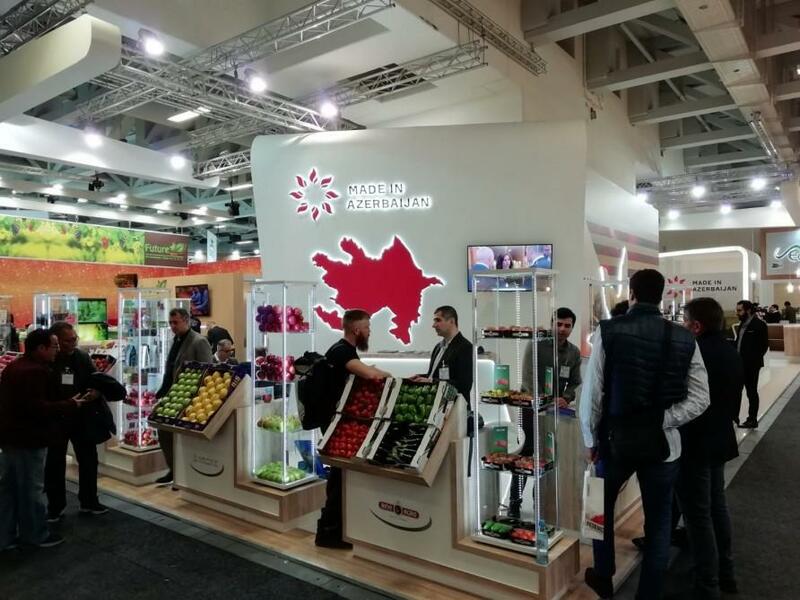 Azerbaijani fruit and vegetable products were showcased at Fruit Logistica 2019 international fruit and vegetable exhibition in Berlin, Germany in early February, the Ministry of Economy told AZERTAC. Discussions were held on export of Azerbaijani products within the framework of the exhibition and preliminary agreements have been reached in this context. Gilan FMCG has signed a contract for the export of tomatoes to Germany. The Azerbaijani 'Mars FK has agreed to export pomegranates to England, 'Balxurma will deliver dried dates to Germany, and the company 'D Fruits plans to export its products to the United Arab Emirates. Bina Agro negotiated the export of products to Russia and Sudan, as well as joint production with Dutch companies in Azerbaijan. It should be noted that 14 Azerbaijani companies operating in the production of fruits and vegetables showcased their products at the 'Made in Azerbaijan pavilion at the exhibition on February 6-8 with the support of the Ministry of Economy and the Azerbaijan Export and Investment Promotion Foundation (AZPROMO). Recently, the products of 14 Azerbaijani companies operating in wine and other alcoholic drinks, medicinal herbal teas, confectionary products, dried fruits and other products were presented at the "Made in Azerbaijan" stand at the exhibition International Green Week 2019 held in Berlin on January 18-27, 2019. Within the event Herba Flora of Azerbaijan has reached the agreement on the export of medicinal herbal tea with Germany's Herbacon GmbH and Tramontabio. At the same time, Babek Sirab and Qatar's Dandy Company Ltd have agreed to export mineral waters. Launched in 2016, the Made in Azerbaijan brand envisages a large-scale promotion of local non-oil products in foreign markets. Azerbaijan is organizing a number of export missions to promote national products under the Made in Azerbaijan brand. Export missions are a supporting measure to identify opportunities for accessing new markets, strengthen local product positions in existing markets and provide these markets with new products. Promotion of export-oriented local products under the Made in Azerbaijan brand in a wider geographic area also helps to attract foreign investment. The export of non-oil products will stimulate the expansion of the production of these products and will further strengthen the non-oil sector's share in the structure of the GDP.